We at Magic Carpet Cleaning provide professional cleaning services at a reasonable price to all households, shops, commercial buildings etc. located in Streatham SW16. If you call 0208 861 0979 you will get an offer tailored to your needs. Our expert carpet cleaners in Streatham SW16 are always ready to clean your home to perfection! Why Choose Magic Carpet Cleaning in Streatham SW16? We follow the market trends and offer customized solutions for each of our clients. Magic Carpet Cleaning is a socially responsible company that uses green products which are 100% friendly for the environment and you! You can trust the specialist teams that they will remove even old stains. Our technicians will work until you verify that you are 100% satisfied with the results. The hot water extraction method uses hot water to clean your floor and kill germs causing allergies. This is the fastest and most effective cleaning approach compared to the others. In the hot water extraction treatment, cleaning detergents are being injected into the carpet under high temperature with the help of special machines and are then extracted along with the soil from the fabrics. 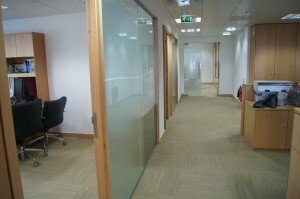 Our company’s employees have undergone professional trainings allowing them to work with the latest machines and tools to clean your homes, offices and business buildings. This treatment is particularly suitable for people prone to allergies and for families with children and pets. If you need professional cleaning of business buildings, offices or outlets, the dry compound cleaning method is just for you. The process involves placing a cleansing active agent in the form of powder, which is rubbed into the textile and is then extracted by vacuum. Thus all dirt and dust are effectively removed. One of the big advantages of this approach is that it does not require drying of the material which means that all visitors can pass right after washing. The active ingredients are 98% biodegradable which is good both for you and the environment. The absence of water or steam prevents the formation of mold and protects the delicate materials. With the dry powder cleaning, you will get an immediate result. Our professionals hold certificates ensuring they can handle various chemicals like cleaning acids, alkaloids, etc. which they use to clean your residence or office and make it a better place. We provide fast and accurate services to bring back the comfort of your house. We handle all kinds of materials, both synthetic and natural with equal effect. All kinds of spots like coffee, traces of pet urine, wine, food, chewing gum or chocolate will disappear without a trace. 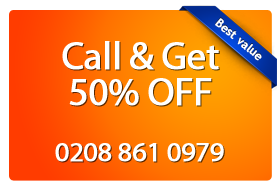 Just call 0208 861 0979 and get the quality to your house or office with Magic Carpet Cleaning in Streatham.